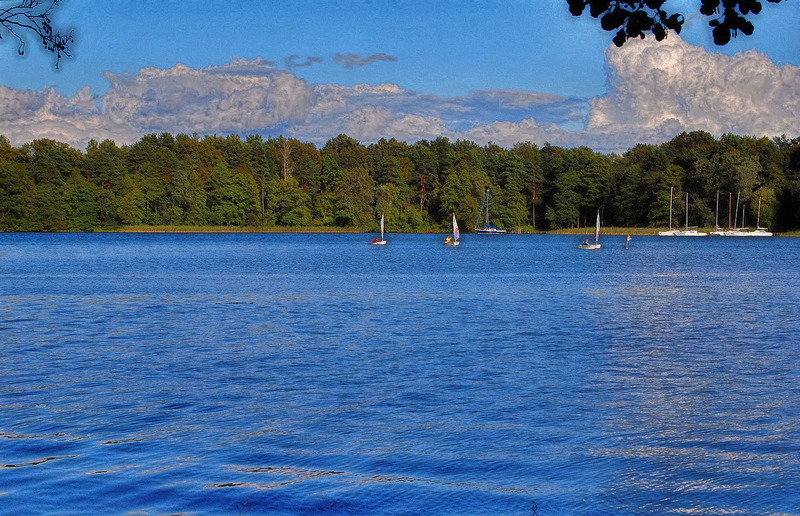 A Lake in the Baltic – Would you prefer the Original or the HDR Version? Recently, I have been converting some of my photos into HDR photos to understand the effects. 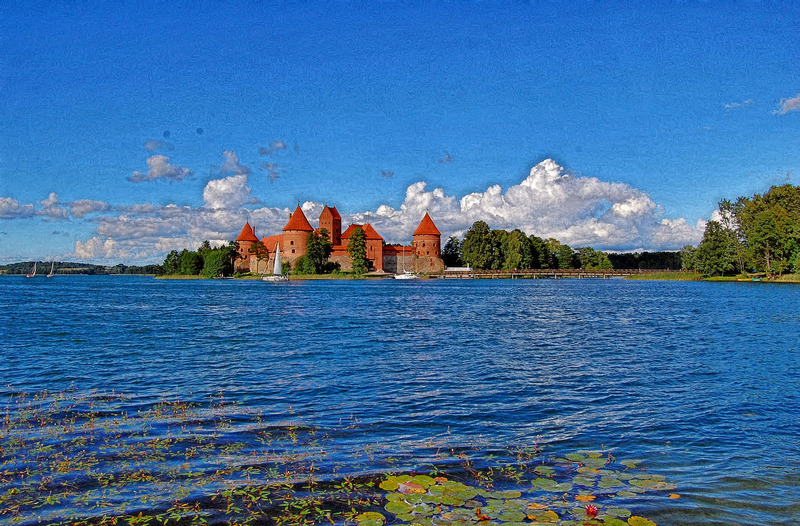 Here are two photos which I have been playing around with; the original photo was taken on the bank of a lake Galve where the Trakai Castle was located. It was a very serene scene with some beautiful clouds too. The one below was a converted version. but I rather like the mood of the original picture. The trip to the Baltic countries is memorable. Estonia seems to be somewhat different from Latvia and Lithuania. However, I have totally mixed up the names of the places I visited in Latvia and Lithuania. 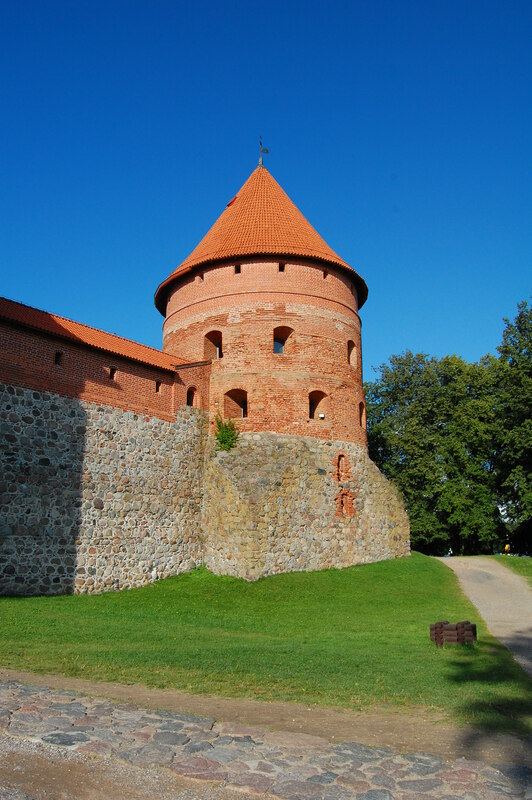 The only place I have very clear memory is the Trakai castle – a beautiful castle by the Lake Galve. This is the most fairy tale like castle I have ever visited! Lake Galvė is a lake in Trakai, Lithuania. 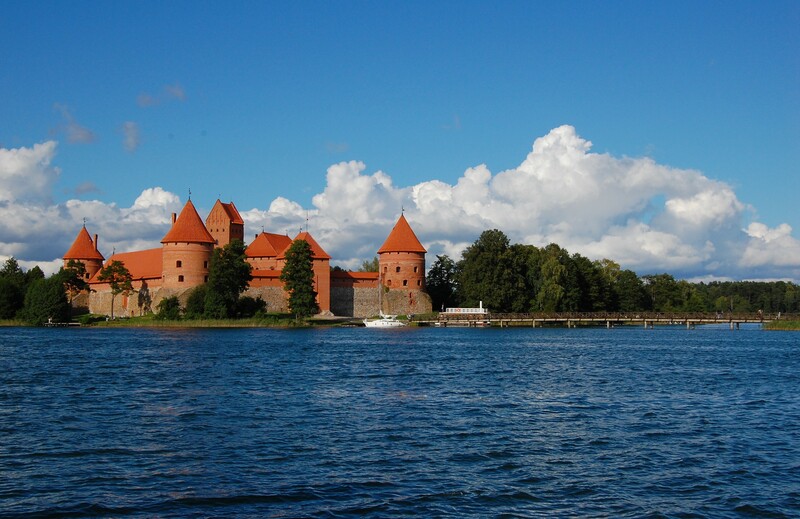 It has 21 islands, and one of them houses Trakai Island Castle ( see my previous posts). 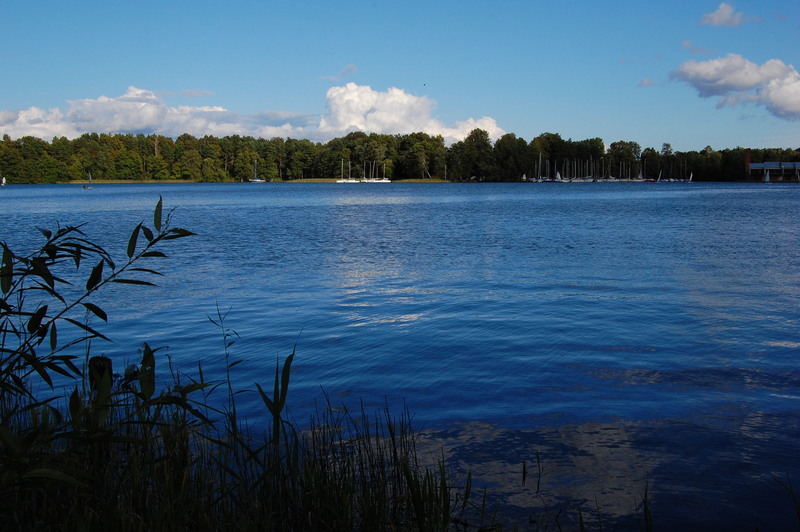 The lake and most of the other lakes surrounding the castle and city have myths and legends connected to them, of which most contain a tragic love story. The lakes and castle are therefore also said to be haunted. While visiting the Trakai Castle, I have a good stroll outside the castle by the lake, viewing the lake scenery mainly. It found it very serene – with the sailing boats and the blue sky. The three photos here are a selection of photos with a similar theme. Sailing boats are my favorites, so is the deep blue lake water. Hope the serene scenes bring serenity and inner peace. This week’s photo challenge is One. The images focus on one subject – Boat. 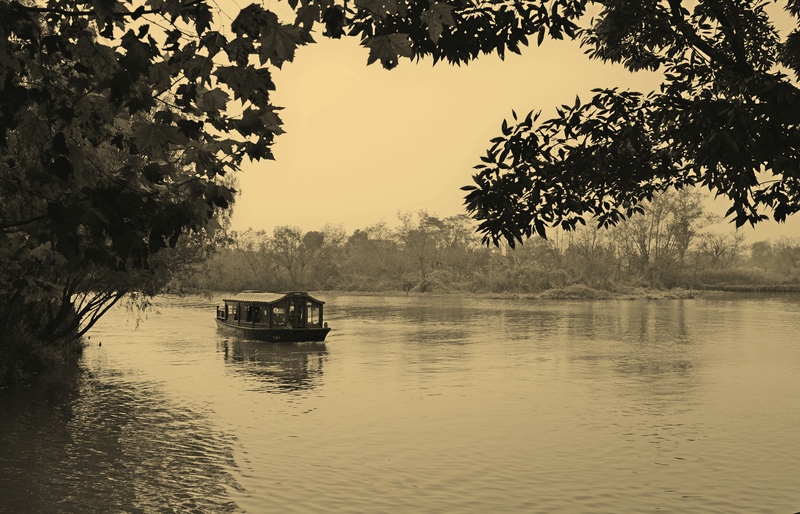 The sepia was taken in Xixi, not far from West Lake in China; obviously, the boat is the main center of attention. 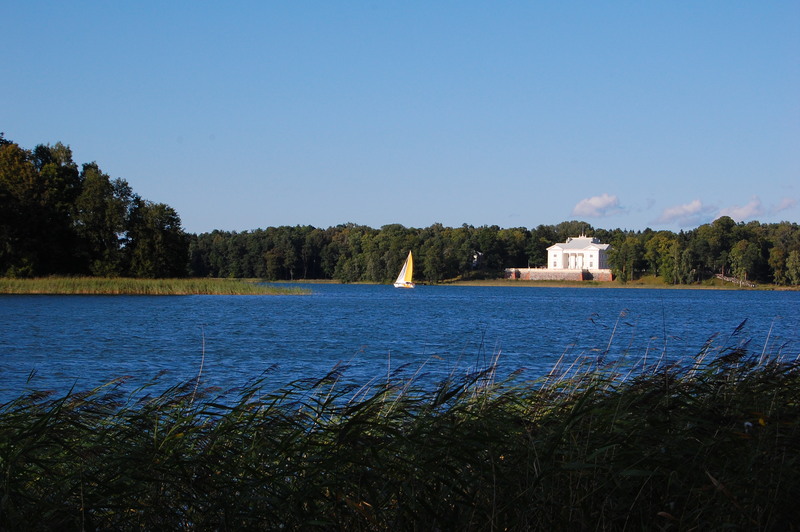 The last one was taken at Lake Galve, near Trakai Castle in the Baltics – as a contrast, it shows one boat, one mansion in color in a Western setting. Boats are my favorite subject; hope you enjoy them! It was our first trip to the three Baltic countries Estonia, Latvia and Lithuania. 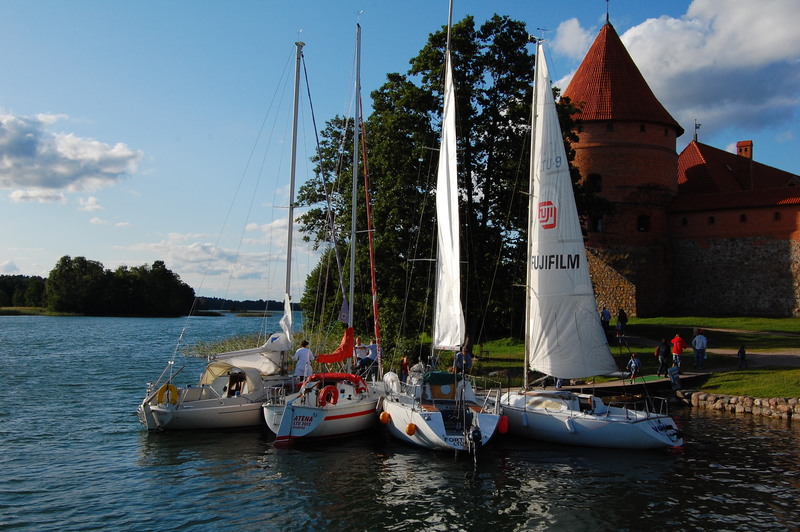 At Lithuania, we stumbled across this sleepy small town of Trakai, which is surrounded by lake Galve. This castle has a stunning setting. Originally built in the 14th century, it looks like it came out from a fairy tale. We have seen castles located romantically on some Scottish islands but this red colored castle with round towers surrounded by tranquil lakes against a clear blue sky was the most picturesque that we have ever seen.We walked across a timber footbridge which connects the castle to the shore and entered into the castle. From the outside, it’s a conventional castle of red brick, with watch towers and walls and a keep and everything. 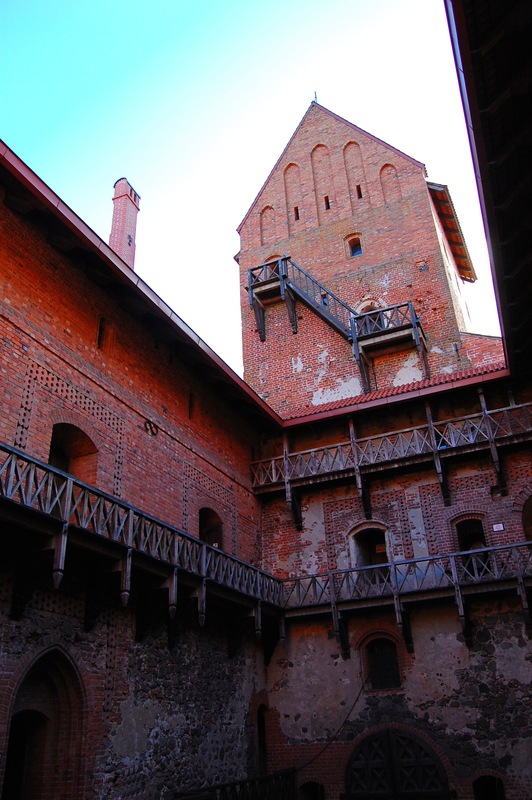 In the inner fortress there’s a courtyard with wooden walkways all along the inside and it’s now a national museum. While my wife was engrossed with all the historical displays in the castle, I sneaked out to take a walk around the island, knowing that the sun would be setting in a short time. There are two things which I have always liked watching; yachts and castles. 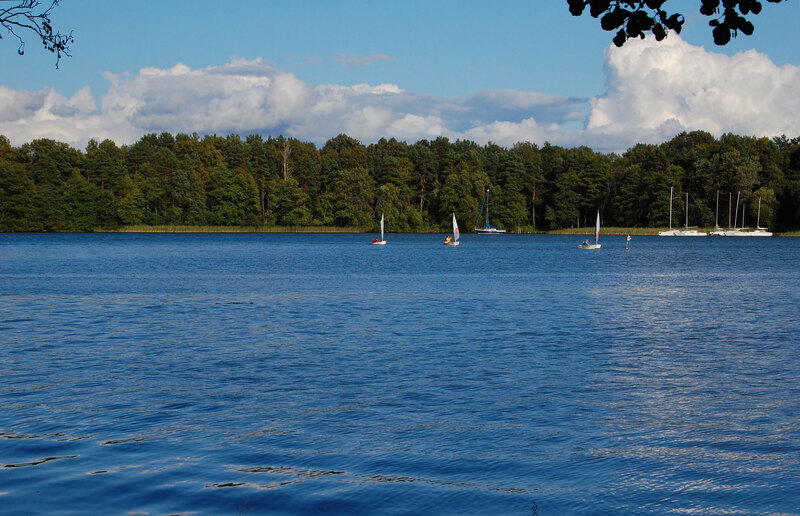 Here at Trakai, the two just came together, in a delightful and picturesque manner. I walked around the island; couldn’t help admiring at the scene as they entered my very eyes. It was just breath-taking. The sky was blue, the water turquoise , a yacht with yellow sail gliding past in front of a neo Renaissance building. I knew I couldn’t stay too long loitering around, leaving my wife in the castle. So I hurried back to the castle. Under the light from the setting sun, it was a very pretty and very interesting castle and stepping inside, it was very warm and cosy . . . . . . . . . . . not knowing what time it was , my wife was still engrossed with the historical displays!